There’s a lot of disposable fiction out there, but New Balance’s ‘Author’s Collection’ definitely isn’t hack work. Rather than dropping a set of themed potboilers, the literary theme makes sense here because these are American classics. Classic is a horribly overused word when we’re describing footwear, but we think we can safely hurl it at the M996. The M997 from this pack seemed to cause a kerfuffle a few weeks back because, despite an oppressive price tag, it’s a magnificent colourway. This one’s almost as good — that sand suede is of a ridiculous quality and that brick coloured outsole,woolen texture and white leather ‘N’ makes the M996PR look a little different to the same old set of neutral colourways. 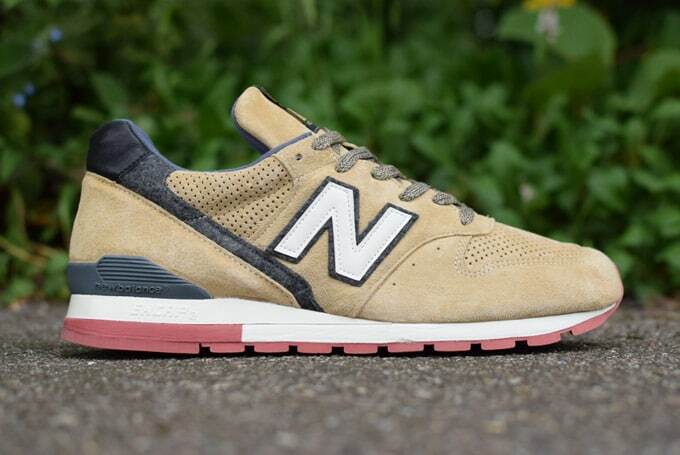 American-made New Balances are notable for their use of material and these ones seem to take the premium feel a little further. We don’t know who these are meant to rep — is it Poe, Hemingway, or Melville? Maybe it’s Clancy or Grisham (we’d love to see the airport lit collection). Nobody’s explained it to us. All we know is that it looks incredible.